Moscow boast of the most advanced public transport system. Besides being renowned for its snowy winters and red walls, Russia has a reliable and efficient transport system. Be it a bus, underground(metro), marshrutka, tram, trolleybus or train, the prices are pocket-friendly and you get to your destination in time. The people in Russia are very friendly and welcoming though most of them only speak Russian. Therefore, communication barrier may be a problem for you as a newcomer or a tourist on an excursion in Moscow especially when it comes to paying for public transport services. There are different ways to pay for transportation featuring the latest technology rather than the old-fashioned paper tickets. In order to make your experience in Moscow less stressful, let us look at some of the means by which you can use to pay for public transport. A Troika card is a contactless plastic card that is reusable, giving you access to almost all the public mean of transport within Moscow. The Troika card is not only convenient and simple but it also provides discounted rates for transportation. It is most predominant at the metro, which is the quickest transport means in Moscow although Moscow’s tram, bus and trolleybus systems have also incorporated the Troika card. Moreover, it is obtained by depositing 50 rubles at any Troika outlet or ticket office on any Metro station. The amount is refundable upon safe return of the card. Troika cards can also be bought from Mosgotrans automatic machines or Svyaznoy stores. Recharging of the card is easy after buying it and making the 50 rubles deposit. In case you want to recharge your card with 500 rubles for the very first time, approach any cashier and say the word “Troika” handing the money to him or her. Amazingly, it can be recharged up to 3,000 rubles. 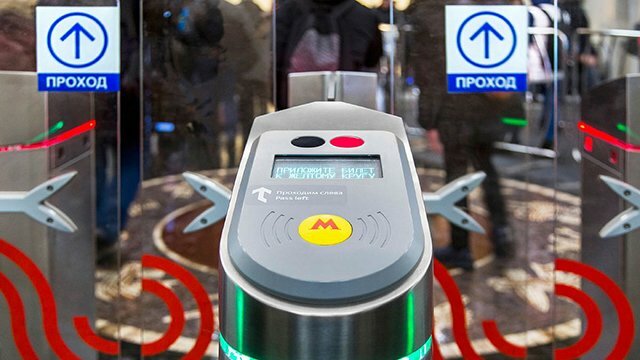 The process could be done at Metro ticket offices, automatic Metro machines, Moscow Metro app, Svyaznoy shops, Megafone shops, online, Moscow airport or by phone via SMS. Despite being cheaper, it comes with the 90 minutes ticket that can be used on Metro or bus trips for 90 minutes for 45 rubles only. Its balance can be checked at any Metro vending machine, offices or via the Moscow Metro app. Additionally, the card will not expire while the funds available on it are valid up to 5 years. If you want to use the card on the metro, swipe the card on turnstile then push the barrier. Trolleybuses, buses, and trams also have a ticket-operated turnstile onto which the Troika card is swiped. The Yediny is a red paper card. It is designed in a way that it could have 1, 2, 20, 40 or 60 rides valid for any public transport means in Moscow. The price for each ride depends on the number of rides you would like to take (the more the number of rides you buy the less you pay per ride). The 60 rides option is ideal for anyone who plans to travel a lot. However, in the event that your plan is to use Metro, there is a card meant for ground transport alone. This card can be obtained from any kiosk in a metro station. On the same note, tickets for 1 or 2 rides are available at automated ticket offices. The 90-minute ticket allows for one ride in the case of the metro and any number of rides in the case of other means of public transport within Moscow. Sixty rides cost 2,650 rubles, two rides cost 130 rubles while one ride goes at 65 rubles which is good if you have to switch you transport means from place to place. The card can be obtained from Metro kiosks. These are the latest unique form of tickets, which come in form of keychains, bracelets or rings. They are fixed with microchips that are programmed to transact transport payments. Interestingly they work similar to the Troika card. In order to get a bracelet, you have to deposit 450 rubles, 350 rubles for a chain and 2,200 rubles for rings. They can be obtained exclusively at the Pushkinskaya souvenir shops at metro stations of Trubnaya and Mayakovskaya. The hand-to-hand cash payment is common for marshrutkas. A Marshrutka is neither a bus nor a taxi. The name Marshrutka came up because the vans only have a driver who multitasks, controlling the wheels and collecting fare as well. Therefore, if you happen to ride in a Marshrutka you will have to pay the driver hand-to-hand. Some buses also accept the hand-to-hand payment method.